Attendance at both weekends for the entire weekend is required to complete the course. If you cannot be at both weekends or attend the entire time period of both weekends please do not register since you will not pass the course and you will be depriving another person of an opportunity. Troop and/or Crew nominations for Scout(s) to attend the Minsi Trails Council 2019 National Youth Leadership Training will be online. After registration a check made out to Minsi Trails Council, 2019 NYLT in the amount reflected on the invoice will need to be sent to council (the address will be online). Pay In Full By 03/29/2019, And Get $50 Early Discount Per Registrant. The names of the youth leaders being nominated are required on this nomination. Please provide a contact email. Course confirmation letter and information will be sent by email. 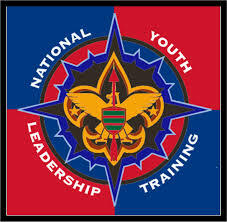 An integral part of BSA’s Youth Leadership Training Continuum, NYLT is the next step after Introduction to Leadership Skills for Troops/Crews (ILST/C). The Minsi Trails Council will be sponsoring a two Troop course in 2019 to provide additional opportunities for the Scoutmasters and Crew Advisors to train your youth leaders. The National Youth Leadership Training (NYLT) course supports Scoutmasters and Crew Advisors in their primary responsibility of training youth leaders. The Minsi Trails Council will offer the two weekend course in April 2019. Built on the legacy of past youth leader training courses, NYLT integrates the best of modern leadership theory with the traditional strengths of Scouting experience. Through activities, presentations, challenges, discussions, and audio-visual support, NYLT participants will be engaged in a unified approach to leadership that gives them the skills and confidence to lead well. Through a wide range of activities, events, games, and adventures, NYLT participants will work and play together as they put into action the best that Scouting has to offer. The course is set up to represent a month in the life of a Unit. Patrols experience the stages of team development. Participants discover that leadership requires vision, goals, and planning. Participants are provided a “toolbox” of leadership skills. The National Youth Leadership Training is a classroom and outdoor experience for youth leaders in support of the Scoutmaster’s and Crew Advisor’s responsibility for the training of their youth leaders. It is conducted by the council leadership training committee using an outline approved by the Boy Scouts of America. What’s the Cost for each registrant? The cost for the course is $250.00 per registrant, which includes all food and training materials. Troops and Crews are encouraged to pay at least part of the fee from their budgets. Is Any Special Equipment Needed? An equipment list will be sent to each participant, who should bring the same clothing and equipment he or she would take to a weekend campout. A completed medical form from a current physical exam. NO REFUNDS AFTER MARCH 29, 2019. All registrations MUST be submitted online (below). Do NOT submit a paper form to the NYLT Coordinator or hand deliver to your district executive or to the Council Office. You are a Senior Patrol Leader, Crew President, or a youth with other Troop or Crew leadership experience and the skills and abilities to be Senior Patrol Leader or your Crew Officers in the future. Must be at least 14 years old by September 1, 2019. Star Scout (First Class Scouts will be accepted if they have the physical and emotional maturity to benefit fully from the experience). Does not apply to Venturers. Actively supported by their Scoutmaster/Crew Advisor. A signed recommendation is required. How many Scouts may my Troop/Crew send? NYLT is a training program, designed to improve the Troop and Crew program. Troops and Crews may nominate as many youth leaders as they wish. Troops/Crews need to name the youth leader(s) who will attend at the time the online nomination is made. Is the Home Scoutmaster/Crew Adviser Involved? The National Youth Leadership Training is intended to strengthen the relationship between the youth leader and his Scoutmaster/Crew Advisor. 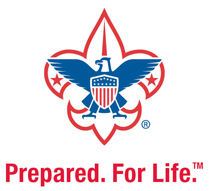 A pre-course meeting will be held on Saturday, March 16, 2019 for Scouts, Venturers, parents and the youth’s Scoutmaster/Crew Advisor. We will review course expectations, equipment needed, the Scoutmaster’s/Crew Advisor’s role, and answer any questions. The pre-course meeting will be held at Akelaland Dining Hall from 9:00 AM to 11:00 AM in the Trexler Scout Reservation - 288 Camp Trexler Road Jonas, PA. The Scoutmaster/Crew Advisor is also requested to join the training course for a lunch feast at NYLT on Sunday, April 28, 2019, at noon at the Akelaland Dining Hall, to discuss with their youth leaders (during lunch) the NYLT experience and how it can help their unit and to support their youth leaders. A closing program and graduation follows lunch. Each youth leader is expected to apply the skills learned in his/her home Unit. Each Scoutmaster/Crew Advisor is encouraged to learn what the youth have learned and support them as they put into practice the leadership skills. What’s the Location of the pre-course meeting? 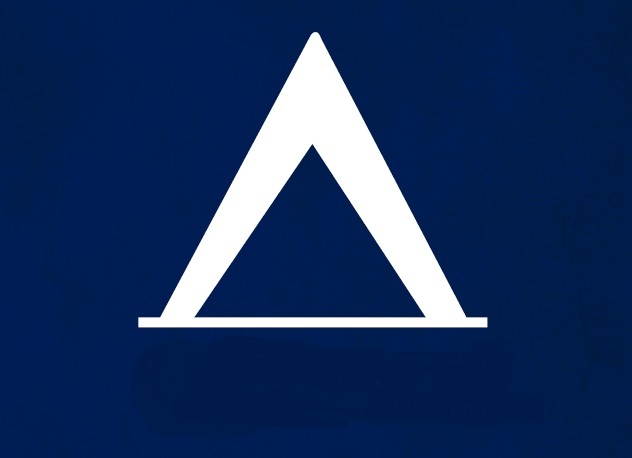 The pre-course meeting (Saturday March 16, 2019) will be held at Akelaland Dining Hall from 9:00 AM to 11:00 AM in the Trexler Scout Reservation - 288 Camp Trexler Road Jonas, PA. The Scoutmasters for the two training Troops are Kelli Webb and Rich Kloss. They are experienced Scout Leaders who are Wood Badge trained. They are building a staff of outstanding Minsi Trails Council youth and adult leaders. In memory of Charles M. O'Connell IV, a long time Minsi Trails NYLT Scoutmaster, who also served in multiple training positions and was an advocate of youth-led training, a limited number of scholarships are available for Minsi Trails Council youth only - participating in the NYLT program. They are based on financial need. Contact Council NYLT Coordinator email Wayne Gross to check on availability and how to apply for an O'Connell NYLT scholarship.